Snack Pack, Conagra Brands’ shelf-stable pudding brand, has debuted a new pudding cup—Unicorn Magic. Unicorn-themed treats are thriving. They were the top “Food” Google search in 2018, and now, parents can bring the trend home to their little ones with Snack Pack. “With its sweet flavor and enchanting pink and blue colors, Unicorn Magic is a bold addition to the Snack Pack pudding family, adding a vibrant pop of color to any dessert or snack,” the brand says. Each six-pack of these gluten-free pudding cups also comes with temporary unicorn-themed tattoos as an added surprise so kids can show off their Unicorn love. “For more than 50 years, Snack Pack has been a deliciously wholesome snack made with real milk that parents are excited to share with their kids. 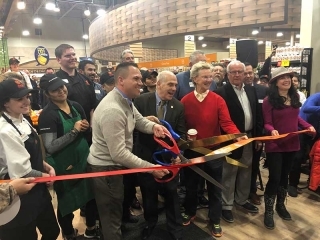 We’re thrilled to continue that excitement by launching Unicorn Magic at a time when enthusiasm for Unicorn food is so celebrated,” said Erik Sword, senior brand manager, popcorn and sweet treats. 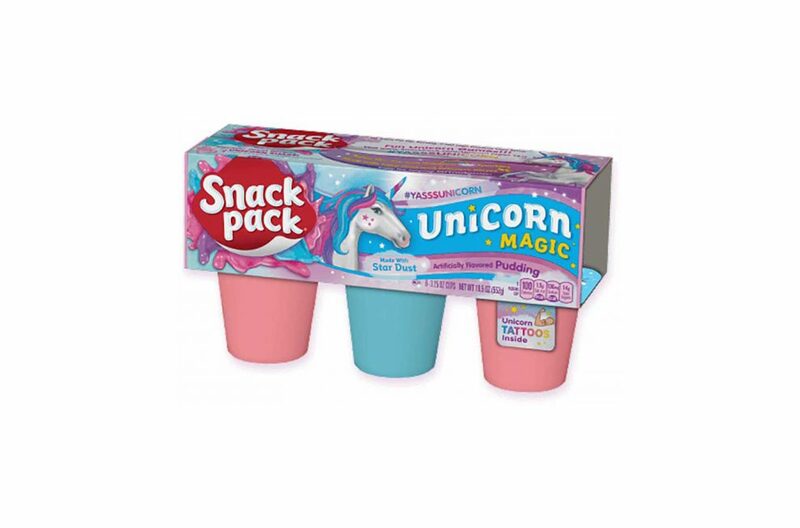 Snack Pack Unicorn Magic pudding cups are available at most grocery stores for an SRP of $2.79. 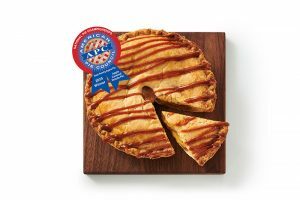 Chicago-based Conagra Brands’ portfolio includes established brands like Birds Eye, Marie Callender’s, Banquet, Healthy Choice, Slim Jim, Reddi-wip and Vlasic, as well as emerging brands, including Angie’s Boomchickapop, Duke’s, Earth Balance, Gardein and Frontera.